In the average building, chillers account for between 35 and 50 percent of energy expenditures. Even minor adjustments in chiller efficiency can significantly lower the overall overhead of your business. 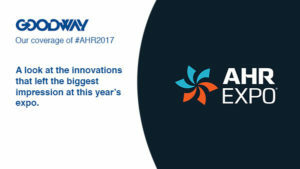 Chiller efficiency and its relationship to the Internet of Things will be on everyone’s mind this weekend at the AHR Expo 2017 in Las Vegas, NV. Magnetic bearing chillers are a quantum leap in chiller technology. They can save a single business $4 million over the life of the chiller in energy costs. These new chillers don’t require oil, or mechanical seals and gears. This ensures a far longer lifespan. At the same time, it can dramatically increase efficiency of the chiller. The U.S. 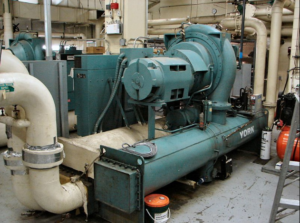 Naval Facility in Newport, Rhode Island saw an energy savings of 65 percent when switching over to these new chillers. What’s more, you don’t have to change out the gaskets, bearings or seals. In terms of total cost of ownership and downtime, magnetic bearing chillers are far superior even to the chillers being producers 10-15 years ago. Fortunately, it’s not necessary to reinvent the wheel to increase the efficiency of your chillers. The Internet of Things automates efficiency with very little upfront cost. Daikin has just released two chillers (one scroll, one screw) capable of natively monitoring energy consumption at the equipment level. This provides facility managers with a robust, streamlined solution to reduce overall energy costs without any headaches. 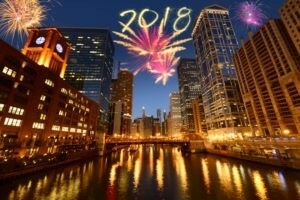 In fact, 2017 is set to be the year of the smart building. Internet of Things-enabled chillers will play a vital role in keeping building maintenance costs down and reducing environmental impact without skimping on keeping the building cool. What’s more, IoT-enabled chillers take the burden of scheduling maintenance off of the facilities manager. In some cases, the chillers will be able to order their own replacement parts and maintenance equipment before you even know there’s a problem. When off-site maintenance crews show up, they won’t need you to tell them what’s wrong with the chiller. They’ll already have a host of metrics to help them make the right repairs, helping to save you money on man hours and reduce downtime. While the Internet of Things will provide significant improvements in efficiency, those won’t matter much with dirty chiller tubes. The RAM-PRO-XL Contractor simultaneously cleans your chiller tubes while preventing corrosion after cleaning. You know how quickly your tubes can start oxidizing and corroding during cleaning. The RAM-PRO-XL Contractor Chiller Tube Cleaner’s TubeGuard system makes sure that won’t happen. The tablet-based system uses biodegradable cleaners without sacrificing anything in the way of power. 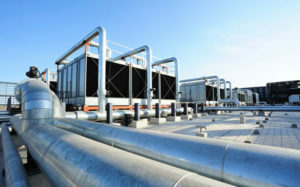 Combine the latest advancements in connected technology with robust maintenance tools for optimum performance in your chillers. 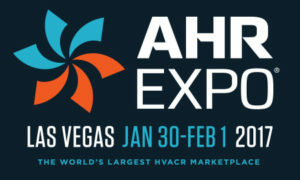 And if you happen to be attending the AHR Expo this year, make sure to check out our exhibit at Central Hall – C4328.